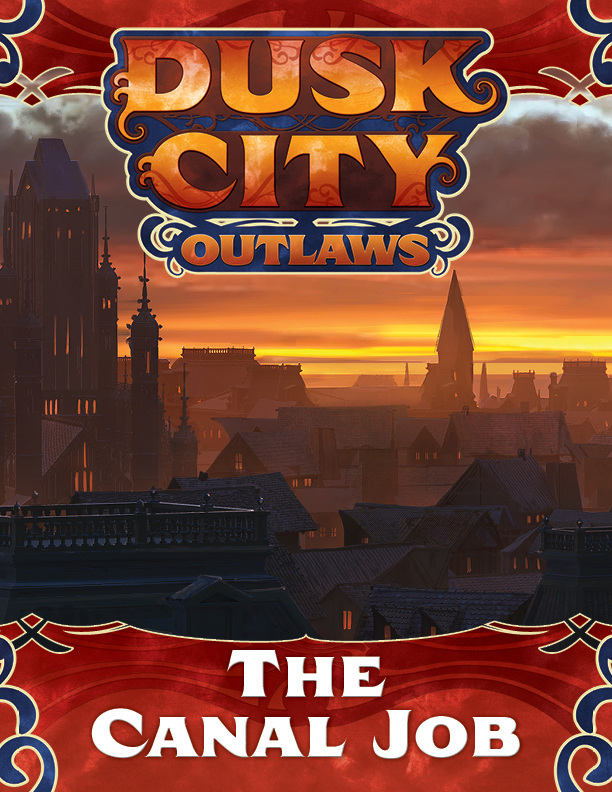 The Canal Job is a scenario designed by Rodney Thompson to support the Dusk City Outlaws Kickstarter Campaign. It was included with the print-and-play preview packet during the Kickstarter. This Job is meant to be played over the course of 4-6 hours and involves stealing several chests full of Crown tax collections from an armored gondola as it passes through the canals on New Dunhaven on its way to the Royal Palace.